» Can You Fit Aero Bars On Other Bikes? Aero bikes first become a huge deal when LeMond famously used them in the 1989 Tour De France and shattered records, leading them to become the worldwide phenomenon they are today. Most commonly, road bikes are where these bars are featured and with great results, but what about the other bike types? 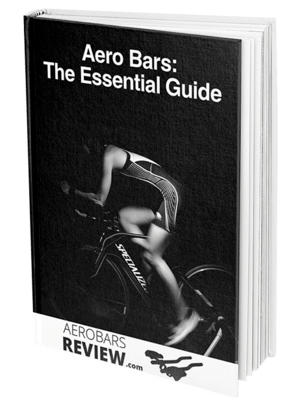 If you’ve never used aero bars before you might be wondering just how they can benefit you and whether or not they’d be a good fit for your bike, regardless of style. There are three main types of bike that one might consider for a triathlon or road race, the road bike, mountain bike, and hybrid bike. Other than purchasing an expensive and situation specific t tri bike, equipping a quality set of aero bars to any of these bikes might be your next best bet. We take a look at what would happen if you put aero bars on these bike styles and what results you could expect. 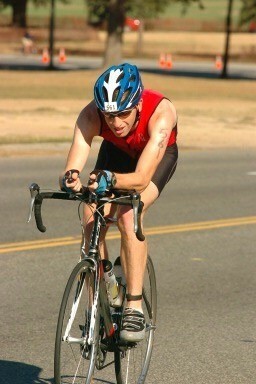 Can You Fit Aero Bars To A Road Bike? 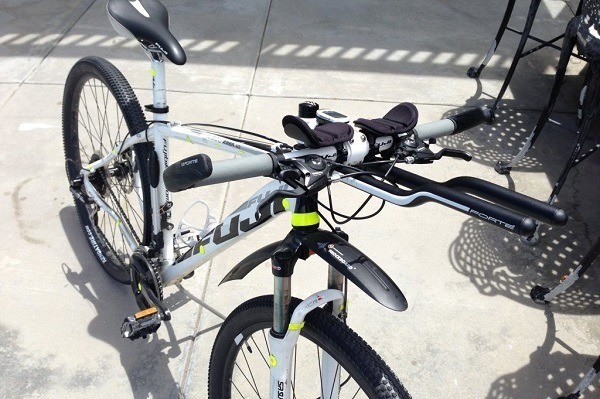 The easiest and most efficient way to use your aero bars is to equip them to a road bike, and you’ll likely find at a triathlon this is what many of the contestants have done. Road bikes are quite versatile in their construction which makes them ideal for a set of aero bars and gives the person riding them a huge advantage over others without the same setup. The benefit of having aero bars attached to your road bike is that you’ll greatly reduce the wind resistance due to the new profile that these bars give you. As you adopt a lower and narrower position, you’ll feel less drag which will increase your speeds and help you to zoom through the course. As an added bonus, they offer a comfort factor that can take some of the pressure off from the standard riding position that you have on a road bike. Can You Fit Aero Bars To A Mountain Bike? 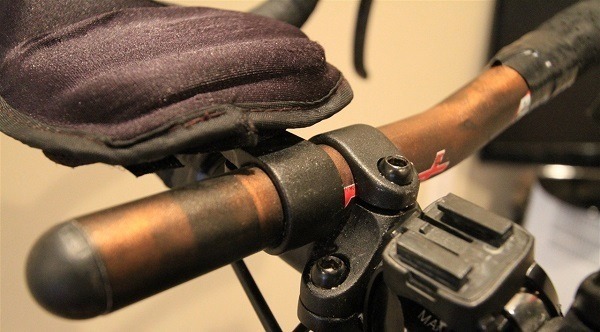 This is a common question among mountain bike owners wondering about aero bars on MTB and how it would work. The frame of a mountain bike is completely unique to a road bike and they’ve been built for different conditions than you’d want to be using aero bars for. Mountain biking is usually fast and furious with many turns and hills to maneuver, where aero bars are generally made for flat surfaces and to pick up speeds. Although there are some places which might fit your aero bars to a mountain bike it’s probably not ideal due to the incompatibility. If you only have a mountain bike to practice on and you’re training for a triathlon, your best bet would be to trade it in for a road bike so that you can safely and effectively use aero bars and improve your overall aerodynamic profile. Considering how much downhill there is when mountain biking, you really need total control of the brake system and your steering which aero bars will ultimately take from you. Can You Fit Aero Bars To A Hybrid Bike? These unique bikes are a mix of both road bikes and mountain bikes, and they’re a popular choice for people who use their bikes for transport. With a flat handlebar like you’d find on a mountain bike and an upright riding position, some people might be wondering just how well a set of aero bars would work on this design. In the past, there certainly have been cyclists who have attached aero bars to hybrids, but in terms of what the best choice is, it seems a road bike would be a smarter solution. If you are going to put aero bars on the hybrid bike you’ll want to make sure your bike is more of a road bike than a mountain bike in its design, and not the other way round. Hybrid bikes are more made for general every day use and so their performance in a competition might not be as stellar as you’d hope. Making modifications to a bike like this may not even increase your chances, so it’ s best to speak with a specialist about your exact model of hybrid and whether or not attaching aero bars could be a good solution. There’s no denying that pair of quality and expertly fitted aero bars can have dramatic benefits for your riding experience, but it’s all a matter of knowing when and where they’re going to be the most beneficial. The fact of the matter is some bikes just aren’t made to be equipped with these aerodynamic accessories and to do so would be unsafe for you and other riders. Consider what the goal of your riding is, and if you’re really looking to train and compete for a triathlon you would be best using a road bike so that it can be fitted with aero bars. 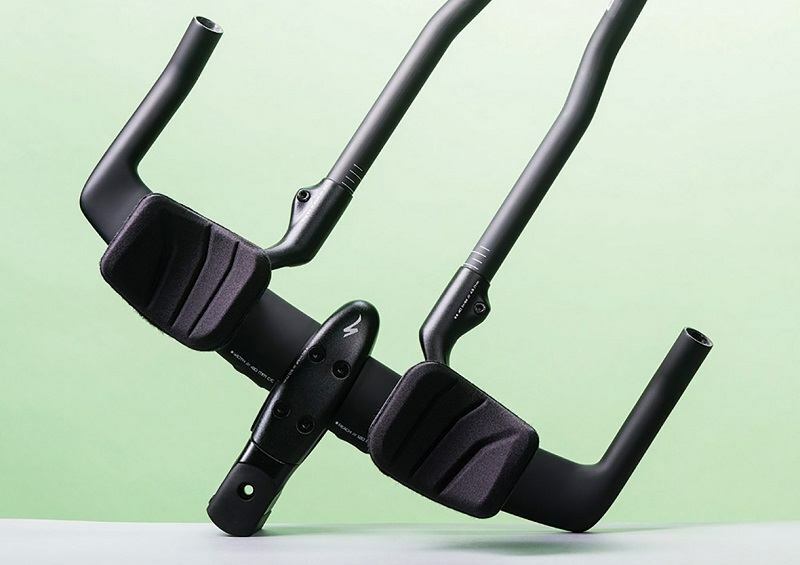 While you might be tempted to have a set of aero bars fitted to a mountain bike they likely won’t do you any good in a competition and will only further your chances of injuries and accidents when riding on a standard mountain biking path. Road bikes are ideal for aero bars as they are what these accessories were made for, and thankfully getting yourself a quality road bike doesn’t have to break the bank. If your end goal is to compete in a triathlon but you don’t have the right bike, it’s advisable to trade it in or upgrade so that you can begin your training on the right device and give yourself the best chance for success.